..nature may find it more efficient to endow life-forms with a bit of awareness rather than attempting to hardwire every animal for every conceivable eventuality. In the debate about animal sentience aquatic animals are often overlooked. So much so that many people declare that they are vegetarian while continuing to eat fish or crustaceans such as lobster or crabs. Research is providing more and more evidence that aquatic animals are sentient beings, aware of themselves, one another and their environment, with the the capacity to feel pain and experience pleasure. 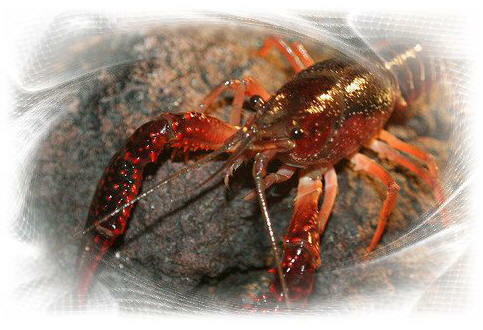 Crayfish on Flickr - Photo Sharing!